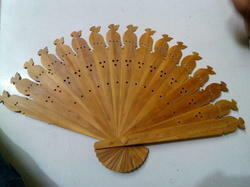 Prominent & Leading 100% Export Oriented Unit from Jaipur, we offer sandalwood fan and wooden fans. We are an affluent organization, offering a superior quality array of Sandalwood Fan. Elegantly designed in spectrum of patterns, sizes and shapes, these fans are made by our creative professionals using quality assured raw material. 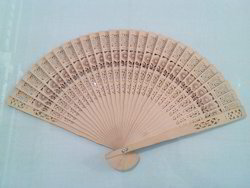 Extensively used for gifting purposes, these fans are highly appreciated among our clients. Further, our offered fans are also delivered from our end after testing their on various quality parameters. With sincere intentions to preserve and uplift our reputation in the market, we bring forth a distinguished assortment of Wooden Fans. Our offered fans are designed and crafted using utmost-grade wood and other allied materials in compliance with defined quality standards. The offered fans are extensively used in various residential and commercial places. 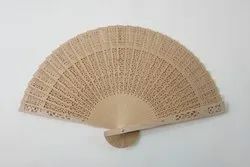 Known for their unique attributes, these fans have become the first choice of our clients.